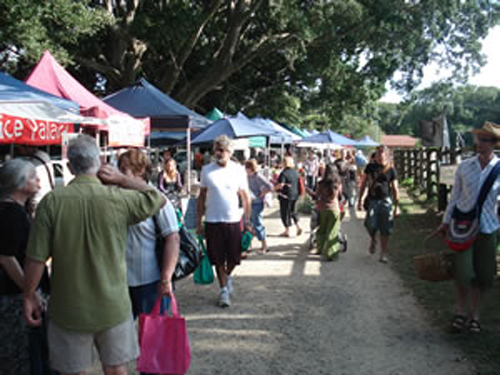 The market is held on Friday mornings and is a traditional local Farmers Market. small businesses producing value added local foods and native plants. There is also a section where locals can buy hens, ducks, beehives and alpacas. will be established later. This model provides a more diverse and vibrant market for the community. 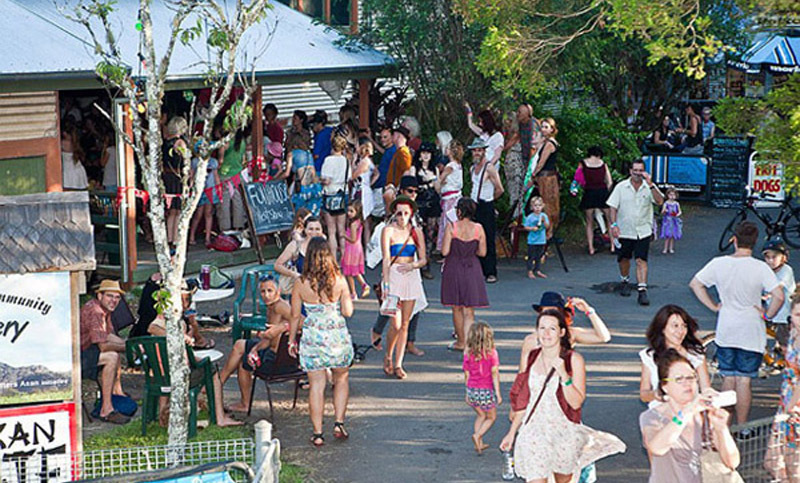 As the smaller and quieter cousin of Byron Bay, and just 8 km from Mullumbimby to the east is Brunswick Heads. There is an ambience of peacefulness and an easy sense of holiday making which pervades this quiet town. Prior to European settlement the area around Brunswick Heads was inhabited by the Bundjalung Aborigines. In 1828 Captain Rous discovered the Brunswick River which he named after Queen Caroline of Brunswick who was the wife of King George IV. Cedar cutters moved into the area in the 1840s and by the 1850s and 1860s the area was being settled and timber was being shipped out through the Brunswick River. pizza makers, buskers, clowns & palm readers from around the district.